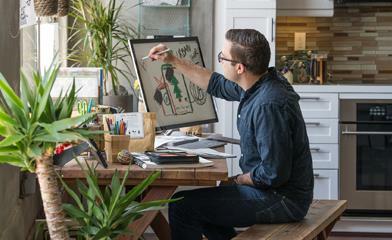 Sway became generally available in August, enabling many additional eligible Office 365 business and education customers to begin using Sway worldwide. We continue to listen to customer feedback and work hard to address top requests from our Office 365 customers. Today we’re excited to announce additional admin capabilities we added to Sway as a result. These new controls allow Office 365 admins to better manage and tailor the way Sway is used within their organizations. 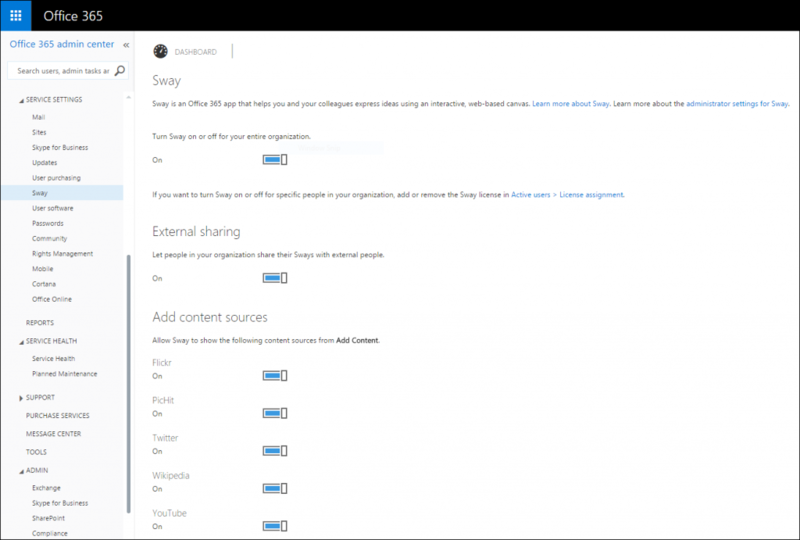 Sway has now implemented a per-user licensing model, which means that Office 365 admins can assign access to Sway on an individual or group basis instead of at the organizational level. Not only does this provide organizations with greater control but it also means that companies can more easily run pilot programs with select users for Sway before rolling it out across the organization. Any user for whom Sway is disabled will not see Sway in the Office 365 app switcher or on the home page. 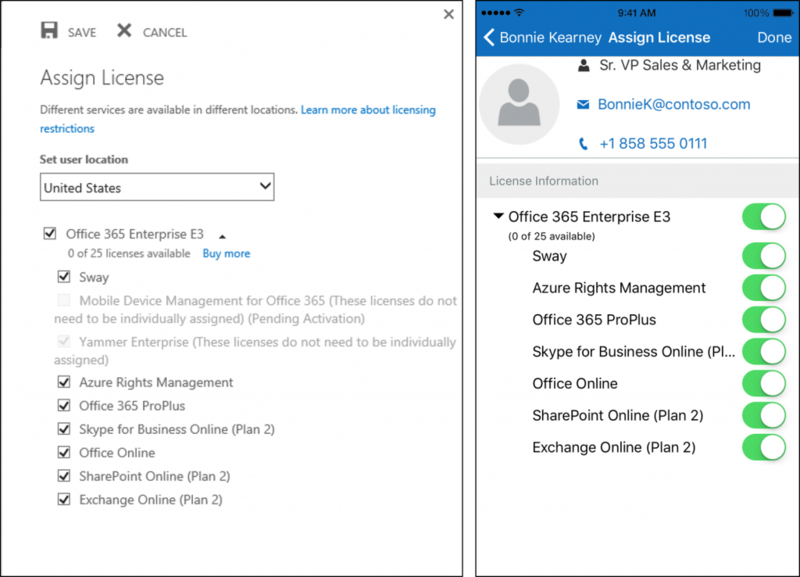 Here is more information on how you can control Sway licensing for your organization using the Office 365 admin center and PowerShell, as well as the Office 365 Admin app. Sway will continue to be on by default for all new Office 365 users, and all users in organizations where Sway was previously enabled at the tenant level are automatically enabled through the new per-user licensing model. Organizations that previously disabled Sway at the tenant level will need to re-disable Sway within the new per-user licensing model for the entire organization or select individuals/groups. Office 365 admins can now assign access to Sway on an individual or group basis. Sway now allows Office 365 admins to control which third party content sources (such as Flickr, YouTube and Twitter) are enabled in Sway’s Insert tab for users in their organization. This granular control allows admins to tailor the Sway experience for their users. In particular, this addresses requests from education customers wishing to better control what external content their students can access and add to Sway in alignment with organizational policies. 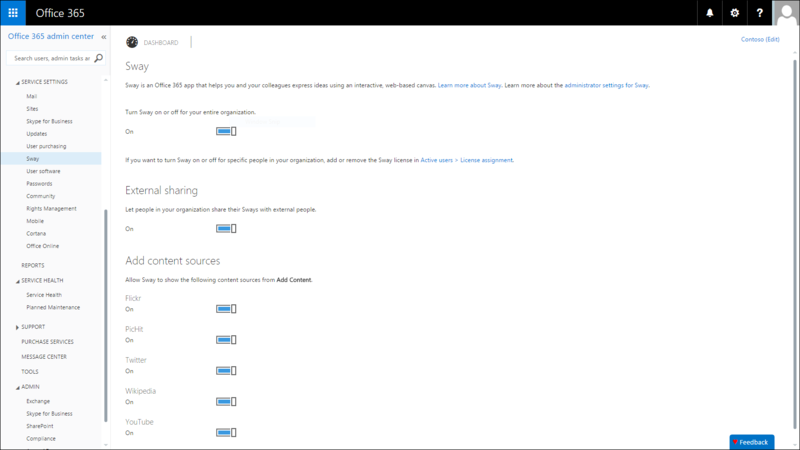 To toggle sources on and off, visit the Office 365 admin center, select Sway under Service Settings and simply flip the desired switches. Office 365 admins can now control which third party content sources are enabled in Sway for users in their organization. We know it’s important to our customers to stay informed on how Office 365 services are performing for your organization. 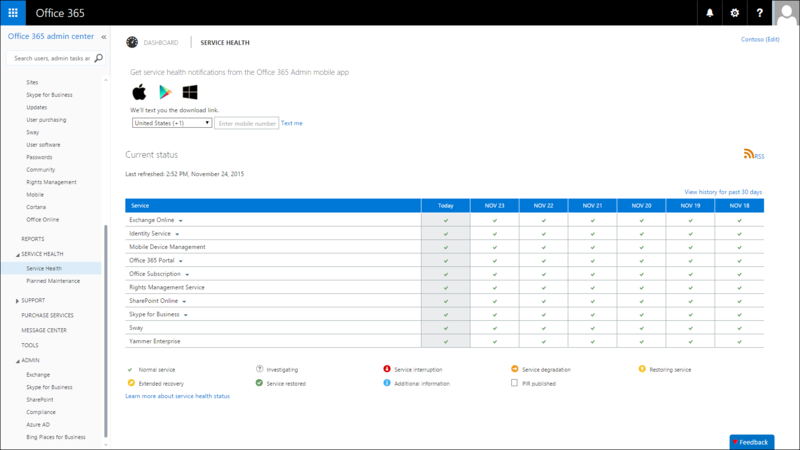 That’s why Sway service status is now visible within the Service Health Dashboard in the Office 365 admin center, as well as the Office 365 Admin app. Any future Sway incident will be highlighted and reported in the Sway row and in the app. 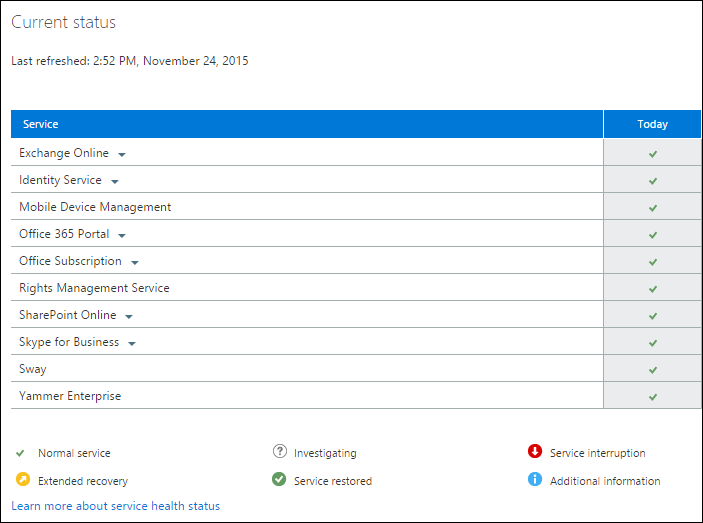 The Service Health Dashboard now displays Sway service status as well. As always, we’re continuing to listen to your feedback and improve the Sway user experience, as well as the Sway management experience for Office 365 admins. Please keep letting us know on UserVoice what you’d like to see us add or change about Sway. Business and education customers can provide feedback on the Sway experience for Office 365. We’ll keep updating the Sway Admin FAQ as we roll out new features such as those discussed in this blog.